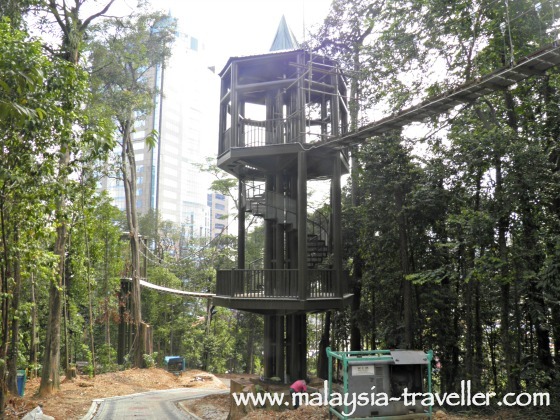 Although KL Forest Eco Park is one of the oldest permanent forest reserves in Malaysia it now boasts one of Kuala Lumpur’s latest attractions, an impressive 200m canopy walk, providing visitors with a wonderful aerial view of the treetops and the city beyond. 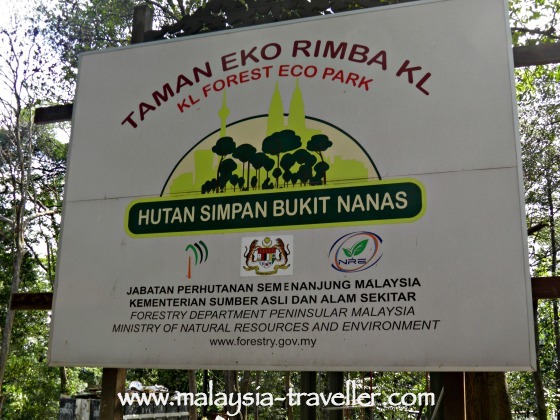 Previously known as Bukit Nanas Forest Reserve, this park is the only remaining stretch of tropical rainforest within the city limits of KL. 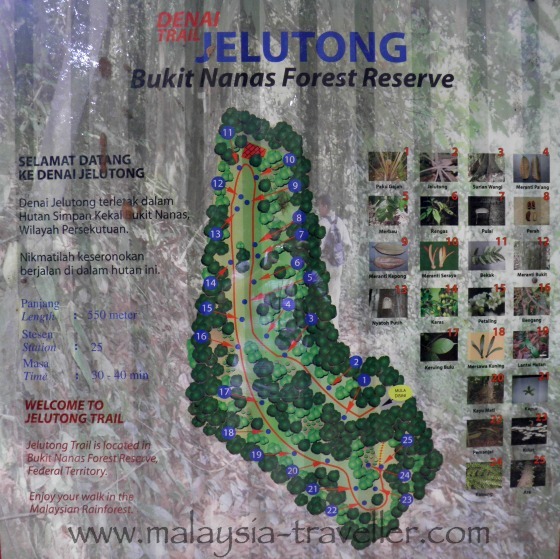 It was gazetted as a permanent forest reserve in 1906 and at that time it had an area of 17.5 hectares. 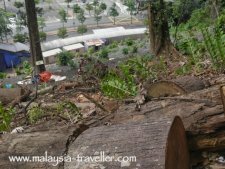 Urban development, including construction of the KL Tower in the 1990’s, has nibbled away at the reserve over the years and now only 9 hectares remains. 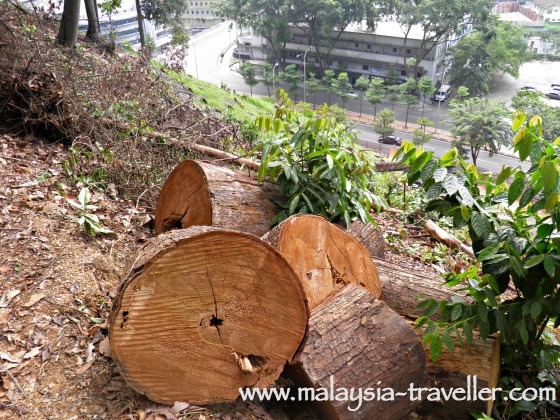 Following a minor landslide in May 2014, slope stabilisation repairs have been carried out along the Jalan Ampang edge of the park which has unfortunately necessitated the chopping down of some mature trees. 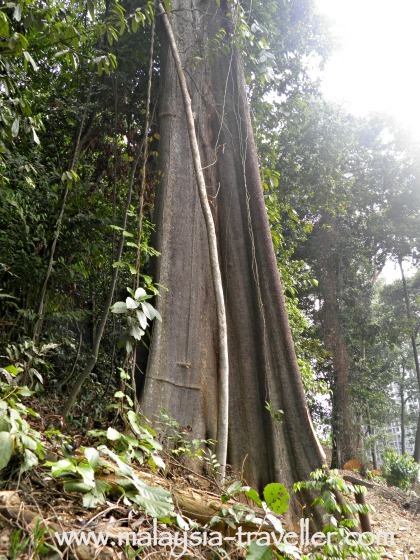 Nine hectares is still a good size and the park contains some fine specimens of lowland dipterocarp and non-dipterocarp trees including some endangered and threatened species such as Kapur (camphor) and Karas (source of agar wood). 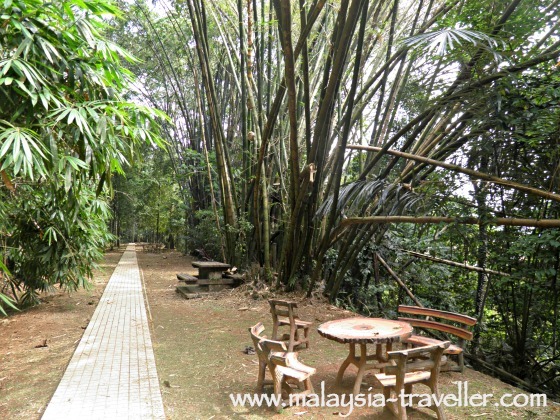 As well as bringing some fresh air to the city centre, the park is a refuge for birdlife and wildlife, mostly monkeys and small mammals. 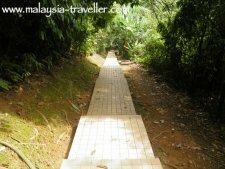 Both paved footpaths and more natural trails are available to hikers and joggers. On-On. Hash House Harriers use this park. 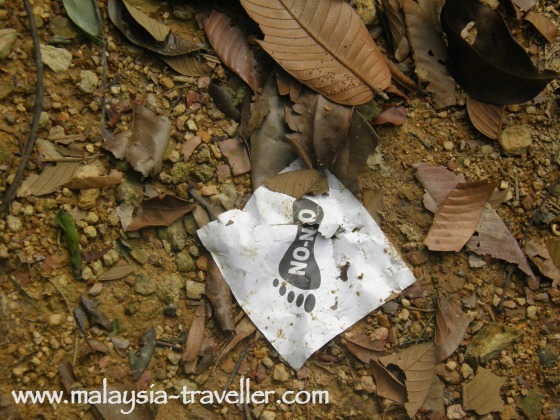 No-No litter please. 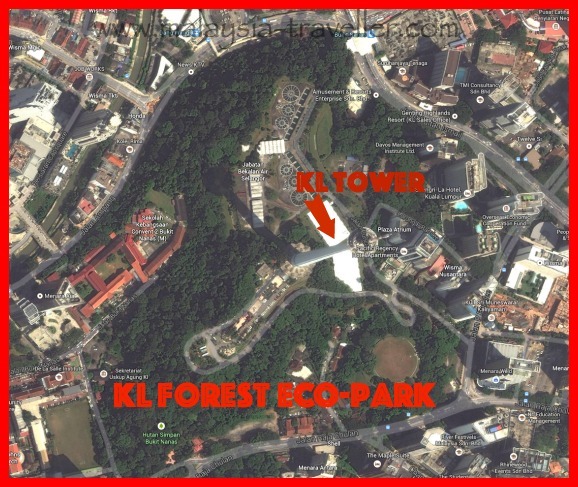 This Google satellite image (above) shows the location of the park relative to KL Tower. 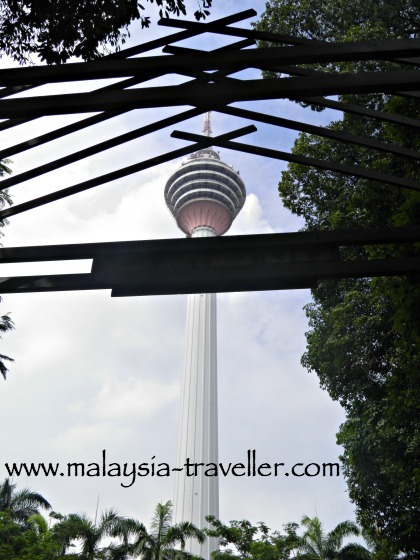 Basically KL Tower sits in the centre of the park. 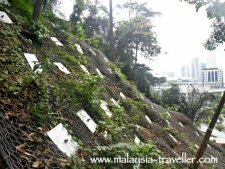 From Jalan Ampang, close to Bukit Nanas monorail station. 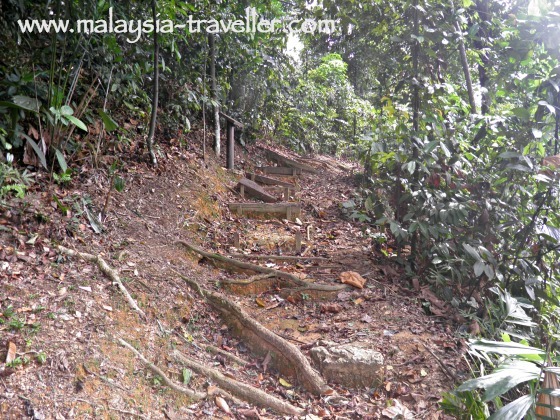 Steps into the park start behind the Malaysian Timber Product Gallery. 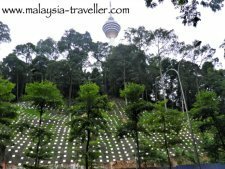 Dang Wangi LRT station is a short walk from this entrance. 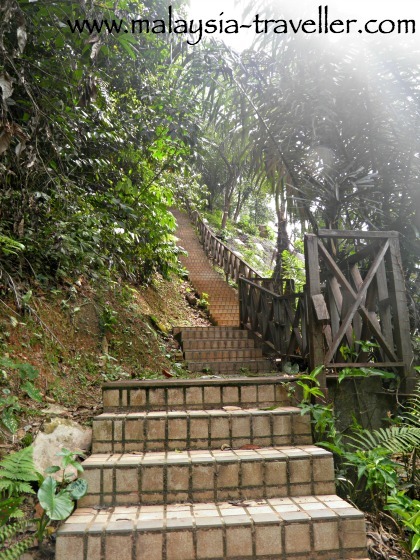 From steps near the foot of KL Tower itself. Opening Hours are from 7am to 7pm daily. 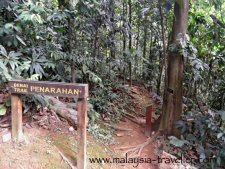 There is no entrance fee to the park. 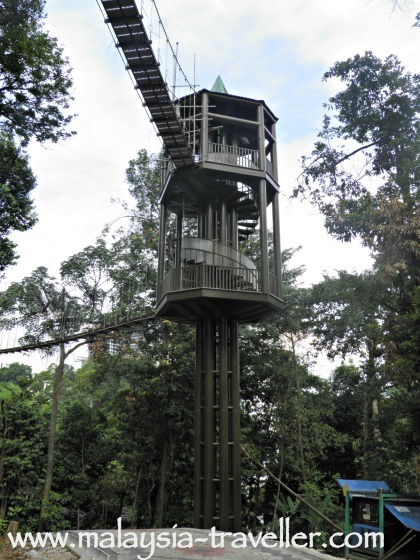 However I saw that they are constructing a ticket office near the Canopy Walk so perhaps a fee will be charged if you want to go on the aerial walkway.